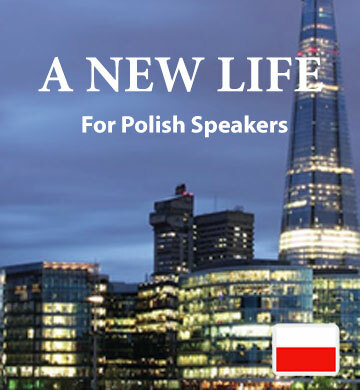 “A New Life” is the second book by Easilang, developed to help Polish speakers expand their English vocabulary. The story revolves around a young couple who decide to move to England in search of fresh opportunities for their family. Each chapter explores the highs and lows of setting up a new home and life in a foreign country. By downloading this ebook and audio track, you’ll gain an in-depth understanding of the words you encounter as you hear them used in their natural context, while you enjoy the heart-warming story. Your purchase includes access to the wonderful Easilang mobile app, which will help you learn even while travelling.